Ann Arbor, Michigan – German Machine Tools of America (GMTA) today announces the appointment of Dan Thomas as Project Manager for this major supplier of various machine tools, lasers and parts washers to the North American automotive, off-highway, heavy equipment and other power transmission markets. Thomas will be responsible for the end-to-end coordination of the project flow at GMTA, from initial contact through commissioning of machines and systems onsite. 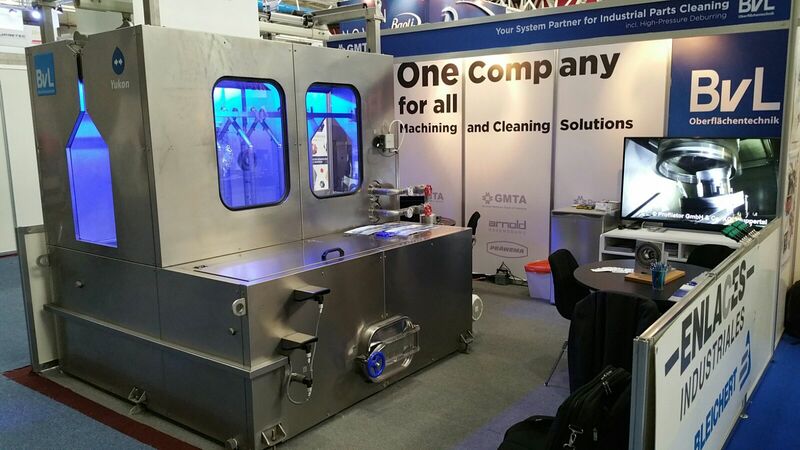 GMTA is a major supplier of machining centers, integrated laser-based work cells, fully-automated parts washing lines and related tooling, focusing primarily on gear, spline and other power transmission components. Ann Arbor, Michigan – Now available from German Machine Tools of America (GMTA), a full line of Samag machining centers, including multi-spindle, horizontal machining centers, deep hole drilling machines and combination milling/drilling machines, is offered for the North American market. Samag, based in Saalfeld, Germany, with offices worldwide, engineers and builds a variety of multi-spindle machines, including the MFZ Series for large workpieces, the smaller, modular WBM Series for up to six spindle deep drilling and the combination TFZ Series, which offers users the ability to bore and mill complex cubical workpieces on four sides with a single clamping. On the largest standard machine, large scale moldmaking is possible, with a maximum drilling depth of 2300mm (over 90”), 65mm (over 2-1/2”) bore and a 50-ton capacity work table. The company also supplies complete turnkey operations, including robotic articulation, parts handlers and transfer mechanisms for high-production work such as connecting rods and complete machining of differential housings. Videos of Samag machines in action may be seen on YouTube by visiting www.gmtamerica.com. Ann Arbor, Michigan – GMTA (German Machine Tools of America) represents various top-quality German and other metalworking machine builder companies, including Profilator GmbH, Praewema, K + G, Rasoma, FIMAT and BvL, as well as Arnold lasers and other equipment. These machines are sold to the North American market by GMTA, primarily for gear and spline production, as well as other power transmission and various metalworking applications. The company’s target markets include automotive, off-highway, energy and other heavy equipment manufacturing. Machines are provided for gear honing, gear grinding, the patented Scudding® and now the game-changing Hard Scudding® process for gearmaking, polygon milling, turning, gear tooth pointing and multi-task machining operations, as well as various laser operations or fully-engineered machine tool and laser line integration. This newsletter is provided to our friends in the media to keep you and your readers updated on “News of Note” at GMTA. GMTA Vice President Scott Knoy addresses the annual sales meeting of Star SU on April 8, 2016. 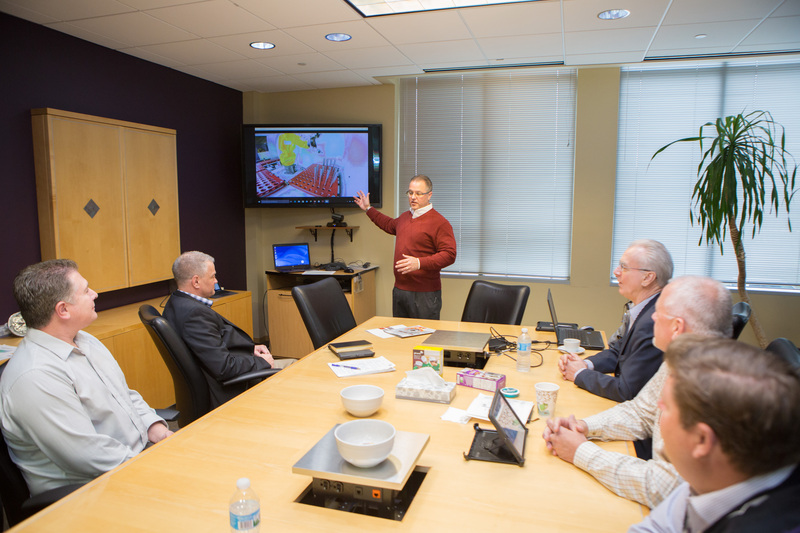 -Scott Knoy, our VP, spoke on April 8 to the national sales meeting of Star SU, partner to GMTA for tooling. -GMTA is entering the printed circuit assembly grinding arena with a new machine. Testing is currently under way. -GMTA is exploring the gundrilling market, with an eye on bringing such a line to the North American market. -GMTA has secured a booth in the South Hall at IMTS and will be presenting its full line to the global metalworking market at this event in September, 2016. GMTA Mexico exhibited BvL parts cleaning technology and our full line of machine tool and laser offerings at ExpoMaq in Leon. -Our Mexican team exhibited at ExpoMaq with great success, showing a Bvl parts washer. We are now the exclusive representative for this line in Mexico. The new Queretaro facility of GMTA Mexico is already serving our considerable install base of machine tools and other equipment in-country with application engineering, sales and a full service operation. -Hard Scudding® continues to impress the industry. 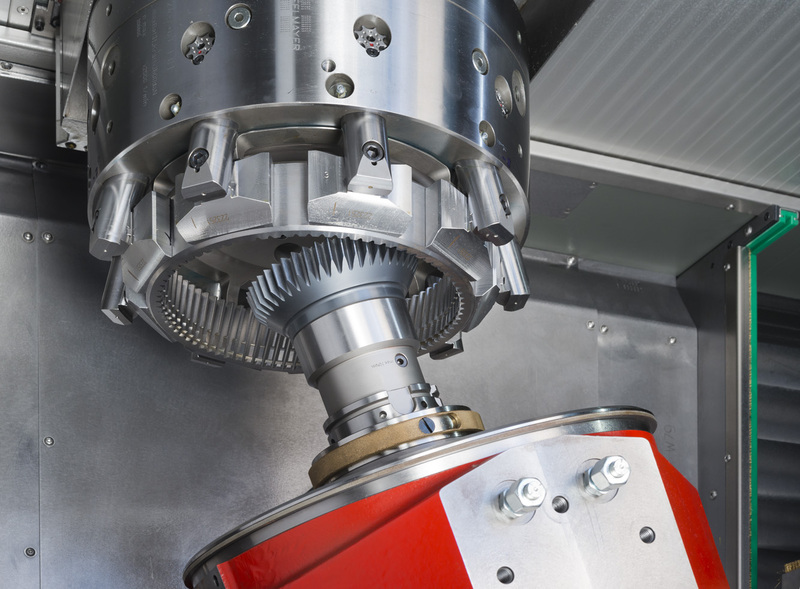 With this unique technology, green and hardened gears can be machined on the same equipment, with a programming software unmatched in the industry for accuracy and consistent performance. -Caterpillar selected our Rasoma machine line for a major insourcing on a bushing initiative. -GMTA Scudding technology was selected for development of ring gears by GM. -Likewise, GM has chosen GMTA to collaborate on super finishing and new gear honing projects. -The company website www.gmtamerica.com has been updated to reflect all the new lines of equipment we currently handle for the North American market, from our locations in Ann Arbor, Michigan and Mexico. -Magna selected GMTA for its Audi Heavy-Duty Flex Program. -GMTA continues its application on the 9-speed transmission work at Chrysler. -Arnold lasers are being used for cutting, cladding, welding and out-of-round part work, all with standard machines. The laser head articulates around the part, rather than the part being turned on a table. Arnold lasers and various GMTA machine tools are now being integrated into full work cells, mostly in power transmission applications. -Major automotive supplier GKN is utilizing our FIMAT machines at two facilities in North Carolina for grinding and milling of U-joints. -Ford has purchased a proprietary machine design for its gear lab in Livonia, Michigan. -GMTA was recently featured in Production Machining and other magazines for its customer successes and breakout technologies. -GMTA is a sponsor of the upcoming AGMA annual meeting on Amelia Island, Florida. We are very proud of our long association with this great group of gearheads! 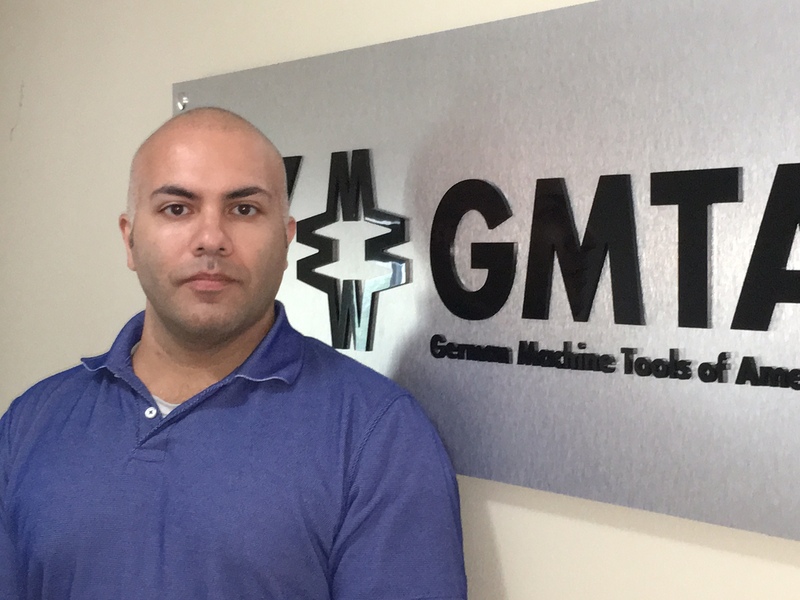 Ann Arbor, Michigan – GMTA (German Machine Tools of America) represents various top-quality German and other metalworking machine builder companies, including Profilator GmbH, Praewema, K + G, Rasoma, FIMAT and BvL, as well as Arnold lasers and other equipment. These machines are sold to the North American market by GMTA, primarily for gear and spline production, as well as other power transmission and various metalworking applications. The company’s target markets include automotive, off-highway, energy and other heavy equipment manufacturing. Machines are provided for gear honing, gear grinding, the patented Scudding® and now the game-changing Hard Scudding® process for gearmaking, polygon milling, turning, gear tooth pointing and multi-task machining operations, as well as various laser operations or laser line integration. This newsletter is provided to our friends in the media to keep you and your readers updated on “News of Note” at GMTA. -General Motors has selected GMTA to partner on the CVT 250 project for gear hones. -Ford Motor has selected GMTA as a supplier for Scudding® sun gears on its new transmission lines. -Scudding and now the Hard Scudding process, in which hardened gears can be cut and finished on the same machine, using the company’s unique adaptive software, are fast gaining acceptance in the market. Already the leader in high-precision internal gear processing, the result of our unique Scudding® technology, which leaves skiving and other methods far behind, GMTA has taken another giant step forward in gear production with the development of Hard Scudding. The Scudding process provides excellent results on green or soft gears, while this new Hard Scudding advancement enables the re-machining of hardened gears on the same machine, with a tooth-to-tooth composite error and total composite error in the AGMA 11, DIN 6 range and a surface finish better than 1.5 Ra. This all happens due to the adaptive software developed by GMTA. -A new series of operational videos on Arnold lasers in action is now viewable on the GMTA website, www.gmtamerica.com. The website is currently undergoing substantial upgrades, but remains visible to all. -The new Mexican office of GMTA, located in Queretaro, is reporting brisk activity, owing to the substantial procurement authority in-country now. According to VP Scott Knoy, “This contrasts with bygone days, when the decision-making and purchasing were largely centered in America and specifically (here) in Detroit. It’s a whole new ballgame with the Mexican market today and we believe our new location (Queretaro) is well positioned to serve this dynamic manufacturing environment.” GMTA already has a substantial installed base of machines in Mexico with all their partner companies. At the new facility, machines are in place for demo and test run, plus the facility is fully staffed with application engineering, technical support, after-sale service and parts inventory. -GMTA attendance at Gear Expo in Detroit was highly productive, as we saw old friends and made many new ones! The demonstration of Hard Scudding was given and we met with all the top editors from the gear market media during the show. The Motor City is still the place to be for us gearheads! -GMTA is now representing Rasoma machining centers, used primarily in the gear and spline markets, as well as FIMAT, an Italian builder of machining centers. These agreements cover full sales engagement for North America. Meanwhile, an agreement has been signed by GMTA to represent BvL parts washers exclusively in Mexico. The BvL line now means GMTA can be a single integrating source for machining, part cleaning and laser joining of power transmission products. -Our Claudia Hambleton again braved the elements and brought a class of German language students from Saline, Michigan to Chicago for Christkindlmarket, as well as tours of the Museum of Science & Industry and the new Maggie Daley ice rink! A good time was had by all…and everyone made it back on the bus! She assures us all the gluwein consumed was strictly non-alcoholic! 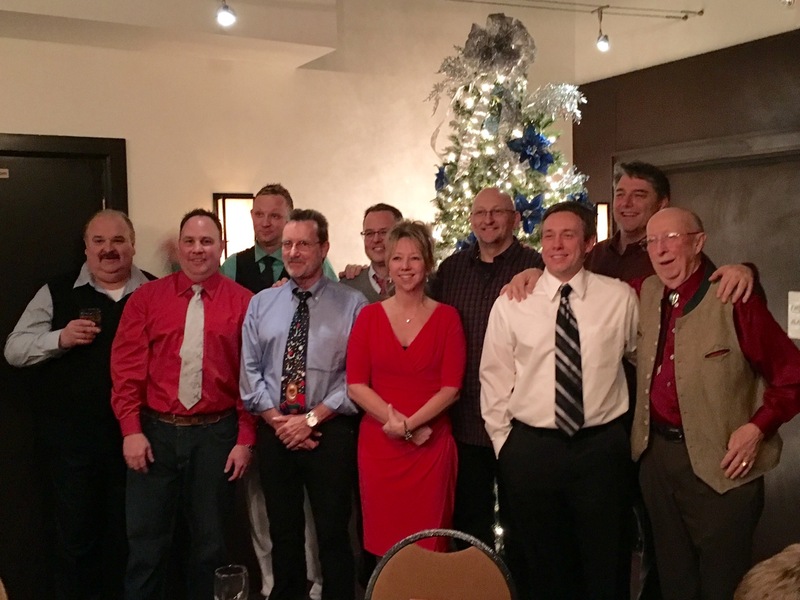 -Our Christmas party was a good time to connect with our GMTA family and exchange presents. Some of the guys, who are themselves brilliant mechanical techs and machine tool engineers, tried to wrap their own presents and failed miserably, according to Claudia! “It takes a talent these guys clearly do not possess,” she mused. Ann Arbor, Michigan – GMTA (German Machine Tools of America) represents various top-quality German metalworking machine builders companies, including Wera Profilator, K + G, Pittler, Praewema and WMZ, as well as Arnold lasers. These machines are sold to the North American market by GMTA, primarily for gear and spline production, as well as other power transmission and various metalworking applications. The company’s target markets include automotive, off-highway, energy and other heavy equipment manufacturing. Machines are provided for gear honing, gear grinding, the patented Scudding® process for gearmaking, polygon milling, turning, gear tooth pointing and multi-task machining operations, as well as various laser operations or laser line integration. This newsletter is provided to our friends in the media to keep you and your readers updated on News of Note at GMTA. Hard Scudding™ will change the face (pun intended) of gearmaking! -GMTA will exhibit at several shows upcoming, including EMO in Milan and Gear Expo in Detroit. At the latter, the company will show its latest development for gearmaking, namely, the Hard Scudding process. Just a few years ago, the concept of Scudding®, developed by GMTA and its partner company Wera in Germany, left the traditional skiving method in the dust, so to speak, for internal gear production used primarily in the powertrain buildup. This process, 5-10 times faster than gear shaping, formed the surface of the workpiece through several, small enveloping cuts, providing a surface finish and part quality level that was far superior to hobbing, shaping or broaching. Scudding is a continuous generating process, meaning no idle strokes on the machine tool, as when shaping gears. Ring gears, sliding sleeves and annulus gearing, whether internal helical or spur, external helical or spur or blind spline, synchronizer parts with block tooth features and synchronizer hubs remain among the popular products in the market, made with Scudding technology. Today, this continuous gear cutting process is widely used in production environments for internal, external, helical and spur gears, as well as splines and other components in the powertrain world. The machining can be done without the need for an undercut or groove (clearance) and lead of the gear can be manipulated via axial motions (crown/taper). It is a demonstrably superior technology and automotive suppliers have embraced its advantages for many years now. Impressive a technology as it is, the industry took another step forward recently with our new process known as Hard Scudding™. The conventional Scudding process provides excellent results on green or soft gears, while this new advancement enables the re-machining of hardened gears with a tooth-to-tooth composite error and total composite error in the AGMA 12, DIN 5 range and a surface finish better than 1.5 Ra. The capital investment is minimal for shops and production departments already doing Scudding, because the same gear can be run on the same CNC machine, using a solid carbide tool to do the work. Recent testing done on various internal automotive powertrain and agricultural machinery ring gears is showing extremely positive results. Stock division calculations on the tooth position are standard technology for GMTA and Profilator, so re-cutting is quick and easy. Using the latest CNC technology to control the machine kinematics, users are able to transfer this technology to Scudding machinery that is already deployed in the field. Thus, the same part can be cut on different machines at different times, allowing for more flexibility in scheduling. With today’s portable programming, onscreen or offline tool path and cutting condition simulation, plus the immediacy of call-up onscreen for all values and tolerances in real time, the busy machine shop or large production department stays flexible and demand responsive, using this Hard Scudding technology. In some cases, this new technology is applicable on near net, pre-hardened gear blanks, allowing significant step reductions in the manufacturing process. In operation, cutting 60-100 thousandths per flank on a tooth, the Hard Scudding process can be used on a carburized or through-hardened parts; nitriding generally does not provide enough case depth to ensure sufficient stock for “clean-up”. An automotive ring gear, for example, which requires 40-50 seconds for Scudding can be produced with Hard Scudding in 25-30 seconds. This process development stands as a viable and very cost-effective alternative to conventional grind-and-hone operations, yielding a highly attractive cost per piece and extended tool life scenario. The added benefits of reduced capital outlay and a significantly more consistent end product bode well for the automotive powertrain and other gear market segments. STOP BY BOOTH 2109 IN DETROIT, OCTOBER 20-22 TO LEARN MORE OR CALL SCOTT KNOY TODAY! -GMTA management will be attending EMO in Milan with its partners, then exhibiting at Gear Expo, being held this year in Detroit, October 20-22. -GMTA is running at “light speed” with their new Arnold laser work cells. Available as single or double work cells, the Arnold systems are offered as CO2 or fiber lasers, with full integration into a machining line, either by means of robotic part articulation or other automated transfer mechanisms, most of which are being supplied to customers by GMTA engineering. Leads from the last IMTS and the company’s aggressive ad program are already being developed into serious opportunities for the company, often in tandem with other machine tool lines and auxiliary equipment now offered by GMTA, according to company President Walter Friedrich. The most recent development is laser cladding, a process of simultaneous metal deposition and fusion, with an extremely high degree of control on the geometry. This technology has considerable application in the aerospace, medical, power gen and oil & gas market segments, in addition to the GMTA home base of automotive. Arnold laser machines are bringing this technology to the automotive powertrain, as stand-alone machines or part of cells designed and implemented by GMTA engineering. Laser cladding now available for aerospace and power gen applications, too. -The new Mexican office of GMTA, located in Queretaro, is reporting brisk activity, owing to the substantial procurement authority in-country now. According to VP Scott Knoy, “This contrasts with bygone days, when the decision-making and purchasing were largely centered in America and specifically in Detroit. It’s a whole new ballgame with the Mexican market today and we believe our new location (Queretaro) there is well positioned to serve this dynamic manufacturing environment.” GMTA already has a substantial installed base of machines in Mexico from all their partner companies. At the new facility, machines are in place for demo and test runs, plus the facility is fully staffed with application engineering, technical support, after-sale service and parts inventory. 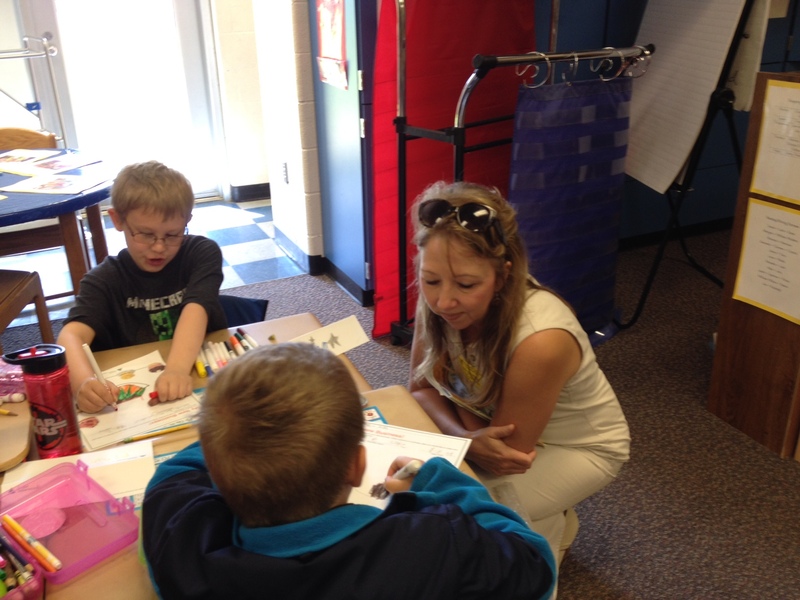 -As part of the company’s ongoing commitment to education, GMTA Corporate Treasurer Claudia Hambleton volunteers for the Junior Achievement program in Saline, Michigan for educating K-12 students about jobs, entrepreneurship, financial literacy and work readiness in today’s competitive and changing market. She is active in the recruitment of local business people in the area to assist the program. -The alliance with Star SU, through which GMTA is sourcing tooling locally, continues to prosper and mutually benefit both companies. – We are proud to announce a business transaction between the Profilator Group and the Dr. Dieter Murmann Beteiligungsgesellschaft, in which Dr. Dieter Murmann Beteiligungsgesellschaft has acquired all shares of the Profilator Group, consisting of Profilator GmbH & Co. KG and the U.S. affiliate company GMTA (German Machine Tools of America Inc.). The Murmann family has long term plans with the Profilator Group to act as an autonomous business, striving for future success and ongoing technical developments. The current management team of the entire Profilator Group will remain the same, including Thomas Buchholz as Managing Director of Profilator in Wuppertal, Germany and Walter Friedrich as President of GMTA. -GMTA is a corporate sponsor of the Smart Factory Industry Forum, being sponsored by the German American Chamber of Commerce and held at the Digital Manufacturing & Design Innovation Institute in Chicago on October 9.